After listening to the first three Song of Ice and Fire books on audio, I realized that I enjoy listening to the written word almost as much as I enjoy reading it. Discovering how easy it is to download audiobooks to my ipod from the library website just made it that much easier. I've always been put off by audio in the past because I would always fall asleep within the first few minutes. But what I've learned in the past few weeks is that you don't have to just sit down and twiddle your thumbs while you listen to a book (I know, brilliant revelation!). I've been listening while I drive to work, while I do the dishes, and while I sew. And it's not only increased the number of books I can experience in a month, but has also given me more time to spend on my crafts. All of that to say, I listened to The Help on audio. I'll be adding a review of the narration to the writing and entertainment value portions of my review for audio books from now on. If you are like me and have somehow made it through the past year without reading this book, now is the time to fix that. I didn't know much about it going in - just that it was the story of some white women and their relationships with their black "help", set in the south during the 1960's. If you're interested in more details, you can read the publisher's blurb from Goodreads. Since this was my first foray into audio in several years outside of the Song of Ice and Fire books (and how could those ever be boring?) I was nervous about the book not holding my attention. I have absolutely no complaints, however. From the first chapter, I was enthralled. I usually take a nap or watch tv on my lunch breaks to give my mind a break, but I could not stop listening to The Help. I listened every second I could - in the car, when I didn't have students in the library, on my lunches, and while I sewed at night. I loved every word and cried my eyes out when it was over. Completely engrossing. I highly recommend this one on audio. There are three readers - a different reader for each narrator - and I really enjoyed hearing completely unique voices. In a book with multiple narrators, it helped me keep track of who was speaking. Each reader does an amazing job. Their voices are beautiful and they capture the Southern accent well. If you're not used to audiobooks, this is a good one to start with. Overall - highly recommend this book. Read it, listen to it, and go see the movie in August. I'll be there the day it comes out! This is definitely a must-read, must-listen-to, must-experience. It's completely worth it. I read THE HELP when it was first released and it has stayed with me. I gave away my copy, sadly now because I think it would be a good re-read. Glad you enjoyed it. I need to look into audio books from my library. I love audiobooks too. I love how I'm able to read while getting other stuff done. Dumb question, but what does "MST3K" stand for? I NEED to read this book! I can't believe I haven't yet. I listened to this one years ago and loved the voices. I listen to more audio than I read, while straightening up the house, running errands, going for a walk... I love getting to multitask! Kenpen - my MST3K section is where I review the book solely based on entertainment value. It's from the tv show MST3K (Mystery Science Theater 3000) which has a theme song that says "if you're wondering how he eats and breathes/and other science facts/repeat to yourself 'it's just a show/ I should really just relax'" So yeah, this section doesn't judge writing or plot holes or believability - just whether or not I was entertained. I loved this book too. I read it but it would be amazing in audio! Glad you recommend this book. I just downloaded it to my Nook after asking a few people if it would be worth the read. It's next on my list! I loved this book too, and can't wait for the movie. I'm also a huge fan of listening to audiobooks while driving (hour-long commute each way to work =/) and while doing kitchen chores like cooking or cleaning. 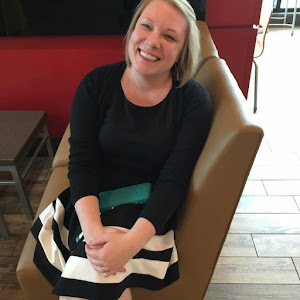 Don't forget to check out all my other book reviews!! 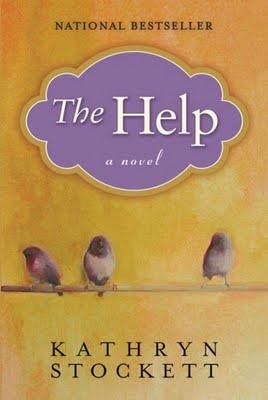 The Help is definitely one that is on my list of Best Books for 2009. It is a powerful and engaging book that I could not put down and I continue to think about the characters and the story after I have finished it.